The Globalists are using the Hegelian Dialectic and Social Engineering that is filtered down to society through front organizations of The Tavistock Institute of Human Relations. Please see my previous post about Tavistock with the video to read more about these organizations and about how they are bringing about their “Big Society” and implementing the “Communitarian Agenda” to bring about Agenda 21 global mind control. 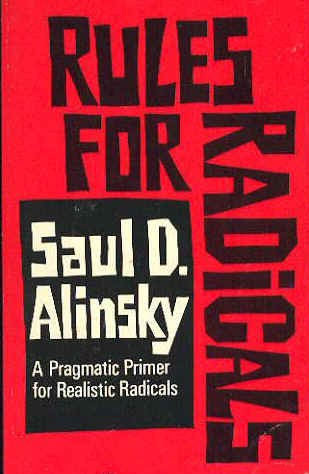 Here are Saul Alinsky’s 12 Rules For Radicals that they are using to divide and conquer (the Hegelian Dialectic) and bring about the New World Order through global mind control. •RULE 1: “Power is not only what you have, but what the enemy thinks you have.” Power is derived from 2 main sources – money and people. “Have-Nots” must build power from flesh and blood. •RULE 2: “Never go outside the expertise of your people.” It results in confusion, fear and retreat. Feeling secure adds to the backbone of anyone. •RULE 3: “Whenever possible, go outside the expertise of the enemy.” Look for ways to increase insecurity, anxiety and uncertainty. •RULE 4: “Make the enemy live up to its own book of rules.” If the rule is that every letter gets a reply, send 30,000 letters. You can kill them with this because no one can possibly obey all of their own rules. •RULE 5: “Ridicule is man’s most potent weapon.” There is no defense. It’s irrational. It’s infuriating. It also works as a key pressure point to force the enemy into concessions. •RULE 6: “A good tactic is one your people enjoy.” They’ll keep doing it without urging and come back to do more. They’re doing their thing, and will even suggest better ones. •RULE 7: “A tactic that drags on too long becomes a drag.” Don’t become old news. •RULE 8: “Keep the pressure on. Never let up.” Keep trying new things to keep the opposition off balance. As the opposition masters one approach, hit them from the flank with something new. •RULE 9: “The threat is usually more terrifying than the thing itself.” Imagination and ego can dream up many more consequences than any activist. •RULE 10: “If you push a negative hard enough, it will push through and become a positive.” Violence from the other side can win the public to your side because the public sympathizes with the underdog. •RULE 11: “The price of a successful attack is a constructive alternative.” Never let the enemy score points because you’re caught without a solution to the problem. The Tavistock Institute, The British Psychological Society, The British Academy of Social Sciences and The Political Studies Association of the UK are in charge of social change (i.e. global mind control) and the Agenda 21 Social Engineering in the UK, European Union and the United States. Tavistock Institute’s Social Dreaming experiments studied people and programmed them through limited choice as to what their aspirations really were and analyzed the psychology of what goes on in people’s minds. They create the psychology and then they bring it down and implement it through these organizations. The change that they are instituting is the “Big Society”. They are programming us through the “Communitarian Agenda” of the UK and European Union.They are driving social change and social policy through their “Communitarian Agenda” which provides limited choices and is nothing less than global mind control. They are creating a divide and rule “Big Society” that serves the Globalist’s Agenda 21 and Transhumanism goals through methods of global mind control. They use companies established to implement the change such as: https://unltd.org.uk, http://locality.org.uk and http://www.regenerate.co.uk, using subversive techniques to filter down the limited choices and social changes using the Hegelian (divide and conquer) Dialectic. They target people that they want to agitate; then come in with the pre-planned solution. They are using this network to institute their programming throughout society to serve their global Agenda 21 goals. This “Big Society” is using Saul Alinsky’s 12 Rules For Radicals (doing anything that it takes) and implementing social engineering and global mind control using society and the United Nations to implement and institute global mind control. “Mind Control” is a loaded term, often associated with science fiction and the fantastical by people who are not aware of its very real history. Images of Orwell’s “1984” or Aldous Huxley’s “Brave New World” are conjured; dystopic nightmare landscapes assumed only possible in pulp literature. What many people do not know or realize is that these books were based on actual ideas and theories that had been put forward by social and scientific elites for decades, and in some cases, centuries. The desire of the “ruling class” to understand the mechanics of the human mind has left a trail of misery dating back to earliest recorded history. It was not enough for them to subjugate the masses through force; the Elites wanted the people to accept their slavery, to integrate it into their psyches. They wanted us to be “thankful” for our servitude, for only then, would they truly be in control of the world. Babylon was the first of what we would now call “urban centers” or city states. 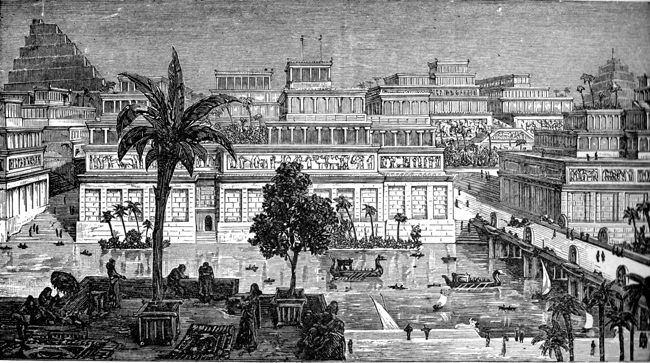 Until Babylon, most of the human world lived in closely knit tribal societies composed of several families or “clans.” The Sumerians had set the first foundation stones in the formation of a new political and social architecture–the empire–but this architecture was not fully realized until Babylon. With the construction of Babylon, the sovereignty and relative independence of the tribal system ended. Before this, many tribes were nomadic, laying claim to no specific plot of land, and surviving by hunting, foraging, and some animal domestication. This method of life is considered by most of us today to be highly primitive and ineffective (perhaps because most people know nothing about it), but it also had many merits. With Babylon came the centralization of tribes into the faceless and careless recesses of urban life. Agriculture on a large scale was introduced, not necessarily because it increased food production, but because it tied the people to the land indefinitely through an early form of feudalism (some scientists and historians question whether forced agriculture actually helped or harmed human society). Instead of the tribal council of elders; a system of leadership based on experience and trust, Babylon gave rise to the first vestiges of “Royalty”– leadership based on nothing but heraldry and bloodlines. Ever since the Babylonian model was established, societies have deferred authority to centralized governments composed of men that have little if any legitimate respect or connection to the people they govern (with only a few exceptions in history). The rulers became almost faceless deities that cast laws and lightning bolts down on the masses from some unreachable Olympus, floating high above the toil and worry of the serfs and slaves. This mentality in regards to our government continues today. Babylon also introduced the centralization of religion. Instead of a rich tapestry of many different tribal belief systems, all people absorbed into Babylon were indoctrinated into a single religious system. This religion was built on a “pyramid structure” in which the priests held incredible social sway. The secrets of their religion (often termed “mysteries”) were reserved for only those priests at the top of the pyramid. All others in the priesthood were carefully chosen and inducted through a series of “tests,” mostly psychological in nature. This system of compartmentalization was the key to the priesthood’s control over the minds of the masses. Knowledge in fields such as mathematics, navigation, astronomy, and other early sciences, were kept from the commoners and slaves, giving the priesthood and the royalty incredible power over their subjects. These methods were carried on by elites in various empires to come, and perfected by the ancient Egyptians, who found a way to combine the centralization of Royalty and Religion into the creation of “God Kings”; human leaders who were also treated by the masses as living gods. The startling allure of early Christianity was probably in part due to the priesthoods of these empires and their abuses of the people. Christianity (at first) destroyed the paradigm of the pyramid structure in religion. It claimed no “mysteries,” and said that there should be no hidden and exalted order of priests, that all the beliefs and knowledge of religion should be open to everyone. Of course, this changed centuries later when Christianity was co-opted by the same elites they were trying to fight, but we will cover this in a later article. 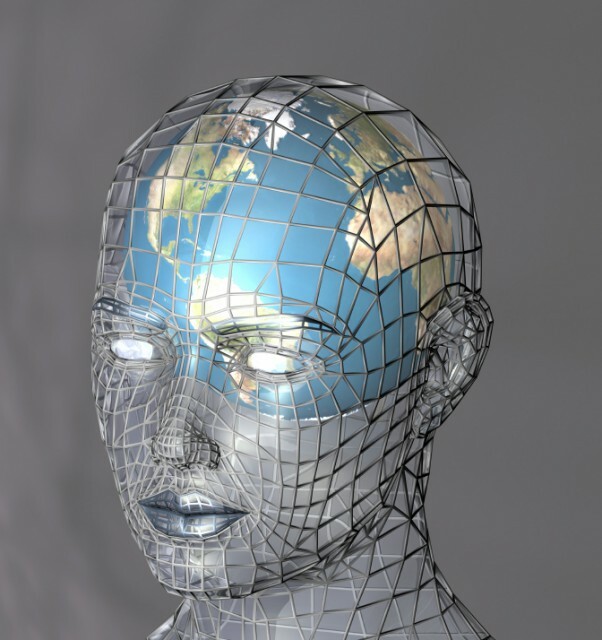 The root methods of mind control were born in the ancient mystery sects of Babylon and Egypt. This is where symbolic structures in the unconscious, now called “Archetypes,” were first studied and utilized. This is where tactics such as “Pageantry” and early forms of the Hegelian Dialectic were first practiced. These same techniques designed thousands of years ago are still used today, but with new and frightening technological efficiency. Archetypes are structures of knowledge inherent in the human mind from the moment we are born into the world. They were first fully explored in a scientific manner by the psychologist Carl Gustav Jung. Jung found during his decades of study into the unconscious mind that there within existed a series of symbols with built in psychological implications. These symbols were adapted by various archetypal structures that exist in our psyches from birth, and they are common to every human being regardless of environmental conditions, historical background, or cultural background, meaning they are universal. They make their home in our unconscious minds and are most visible in our dreams, art, and religions. In fact, all successful religions are built upon Archetypal Symbolism. A Scientific Basis For The Occult? Jung continued to return to two ancient belief systems when looking for clues on how archetypes operate; Hermetics, and Alchemy. These systems existed in pre-biblical times, yet shockingly, seemed to employ the same methods of examining unconscious symbolism that Jung would stumble upon thousands of years later. When the ancient and exclusive priest sects of Babylon and Egypt were practicing their rituals and symbolism to influence the masses, were they actually using an early form of Jungian Psychology? Was it possible that occult groups and their “magical” qualities were not really magical at all, but the expert use of archetypal symbols to manipulate the minds of their followers? Was this the great secret that they were trying to hide from the commoners? I, _______, do in the presence of El Shaddai and of this Worshipful Assembly of Free Masons, Rough Masons, Wallers, Slaters, Paviors, Plaisterers and Bricklayers, promise and declare that I will not at any time hereafter, by any act or circumstance whatsoever, directly or indirectly, write, print, cut, mark, publish, discover, reveal, or make known, any part or parts of the Trade secrets, privileges, or counsells of the Worshipful Fraternity or Fellowship of Free Masonry, which I may have known at any time, or at any time hereafter shall be made known unto me. The penalty for breaking this great oath shall be the loss of my life. Given under my hand and sealed with my lips, this day of 1913. So help me El Shaddai and the holy contents of this book. There are indeed many reasons why the present volume should be generously circulated among all classes of students of the Occult and Mystic, especially the members of the Masonic bodies. The vast majority of Masons smile with derision when the term “Occult Science” is used in connection with the Mysteries but, despite this, if it had not been for the Occult Fraternities, Masonry could not have existed. “The universal sentiment of the Freemasons of the present day is to confer upon Solomon, the King of Israel, the honor of being their first Grand Master. But the legend of the Craft had long before, though there was a tradition of the Temple in existence, given, at least by suggestion, that title to Nimrod, the King of Babylonia and Assyria. It had credited the first organization of the fraternity of craftsmen to him, in saying that he gave a charge to the workmen whom he sent to assist the King of Nineveh in building his cities. The best example of Elites using an archetypal image to manipulate the masses is also the most recent. The 9/11 false flag attacks present a highly organized and deliberate use of symbolism to force a particular emotional response from the majority of Americans. There is a very good reason for the use of demolitions on 9/11, but it is primarily psychological, and not strategic. The Tower is itself a very powerful archetypal symbol. In dreams it represents a striving for knowledge and wisdom, or an accomplishment or progress in one’s own psychological development. The collapse of a Tower in a dream can represent a severe psychological break, a feeling of failure and disappointment, or even herald the formation of a mental illness such as depression or schizophrenia. In dreams, the archetype takes shape and then affects our mental state in our waking life. But what happens when an archetypal event is created right in front of our very eyes? This was the main purpose of 9/11, and the need for demolitions to cause a total collapse. If demolitions had not been used, the WTC would have only partially collapsed, as it was designed to do in the event of an airplane strike according to the men who engineered the towers themselves. If a partial collapse occurred, the psychological effect would be muted. American’s reasoning and psychological defenses would not have been broken down, because the “Archetypal Event” would not have been complete. The towers had to collapse completely in order for the archetypal symbolism to be successful, allowing for easy manipulation of the masses. 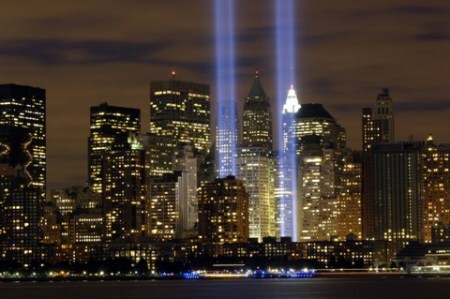 In fact, if the towers had been hit and they remained standing, I do not believe Americans would have been at all susceptible to the idea of war, and we would certainly not be in Iraq today, nor would we have accepted the formation of the Patriot Act, which gives the Executive Branch wide ranging and nearly dictatorial powers. This is the influence of archetypes when used by skilled practitioners for ill purpose. But this is only the beginning….. They say beauty is in the eye of the beholder, but in fact, it would appear that our unconscious is already predisposed to gravitate towards mathematically sound forms. From an architectural point of view, the church is very imposing and emotionally affecting, even frightening! It seems to draw the life out of its surroundings. Imagine now the use of sacred geometry in other visual arts, such as media and film. 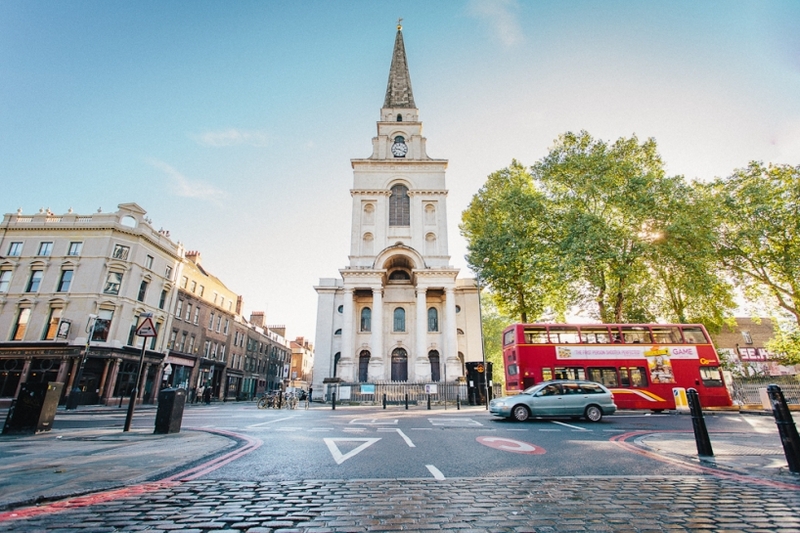 Could certain geometric principles be used in media to evoke a specific emotional response from viewers, just like Hawksmoor’s churches? Actually, they already are! Just read any book on visual marketing. Hypnotism, as discovered by Scottish physician James Braid, is a not necessarily a drifting of the mind into unconsciousness, but an extreme focusing of consciousness to a single point. This focusing of consciousness caused all other information gathered by the senses to be “overlooked.” Meaning, a person under hypnosis is so focused on a single point that their consciousness is unable to recognize other stimuli, making them highly suggestible. Because their entire consciousness is focused on one point, they do not realize that messages are being implanted, or information is being extracted by the hypnotist. Most people have heard of subliminal messaging in advertising, and the “25th Frame” tactic, which hides an image in the 25th frame of a video or film broadcast. The frame moves by so quickly that the message does not register consciously, but subconsciously, it is imprinted in the brain. Some people are easily influenced by this method, while others are not. Television is perhaps the greatest hypnotic tool ever devised, allowing for intensive subliminal manipulation to occur. Think back to the last time you watched television. Remember any moments in which you lost all track of the world around you? Remember a family member trying to get your attention, yet you were “mesmerized?” Television causes the mind to settle into a narrow focus, much like hypnosis, making the mind open to suggestion. This suggestion does not even need to come in the form of hidden images or reverse audio messages. It could be a carefully chosen talking point repeated several times in the same news broadcast. Even the scrolling “ticker” at the bottom of a FOX or CNN news program could be used to insert manipulative messaging. 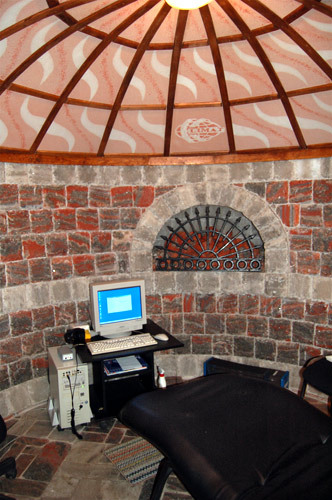 A dungeon-like room in the Psychotechnology Research Institute in Moscow is used for human testing. The institute claims its technology can read the subconscious mind and alter behavior. Note: The video above proposes a German opposition to Masonry, however, the Thule Society of Germany and its symbolism is heavily linked to Masonry and this connection should be taken into account. Not all branches of Freemasonry are involved with the NWO, and not all Masons are aware of their organization’s dishonorable ties to the Elites. Some branches have even rebelled against the Elites in the past, such as those in the colonial U.S., who fought against the tyranny of the British monarchy. We will more thoroughly discuss Freemasonry and how it was co-opted by the Globalists in an article soon to be released.Another purpose to pageantry and ceremony is to influence people to experience what Jung called the “Collective Unconscious,” an intuitive psychological network to which all people are unconsciously connected. Most of us are only vaguely aware of this connection, but the evidence of its existence can be seen in the identical archetypal symbolism of every culture at any point in history. Almost every religion uses symbolic ceremony to create a collective experience of the unconscious. These ceremonies can help people to better understand themselves, and their relationship to humanity as a whole, however, such pageants can also be used to enslave the minds of an entire group through a collective sense of fear, guilt, and rage. This is why many of the ancient mystery sects of Babylon and Egypt used human sacrifice during ceremony. It is normally written off by historians as zealotry and lunacy, but there is a very tangible purpose behind sacrificial ceremonies. The act of collective murder is incredibly invasive and can put an unbreakable stranglehold on the psyches of those who participate. Often, these ceremonies are meant to create a rift which allows people to ignore conscience; the intuitive and inborn force which helps us to find peace and balance. The witnesses and perpetrators of such an event are often bound emotionally for years or even decades after. The idea that our world leaders even pretend to commit acts of human sacrifice should be extremely disturbing to anyone who understands the psychological implications of pageantry and mind control. No leader of men should be separated from his conscience. Perhaps the pinnacle of all exposed government sponsored mind control programs was MK-ULTRA, a multifaceted project spread across several countries utilizing every method of psychological manipulation mentioned in this article, as well as others not mentioned. Project MK-ULTRA was first brought to wide public attention in 1975 as Congress was forced to acknowledge the numerous victims coming forward to tell their story. The resulting government “investigation” was mostly for show, and was organized by the Rockefeller Commission. No member of the CIA or any doctor employed by them was ever prosecuted for their crimes. The first step in defending against manipulation is of course to first understand the methods used by manipulators to get what they want. After careful study, you should be able to easily pick out key phrases, archetypal symbols, subliminal messages, and other devices when you are confronted by them. It is interesting to examine these methods in depth and then go back out into the world of media and propaganda. You may be startled by what you see on the T.V. and in the streets that you did not notice before. The other defense against mind control was actually realized by Carl Jung. Jung found that those people who used Archetypal Psychology for good, those who used it to understand themselves and their inborn qualities, were actually incredibly resistant to manipulation and subversion. They could not be caught in the fervor of an archetypal event, because they knew their own unconscious so well. These men and women were psychological mountains, immovable spires of mental strength that could not be changed and controlled by others. For those not yet self aware, the mind remains a subtle and mutable form, a delicate instrument that expresses the contents of the spirit, but hard to predict and defend. Knowing one’s self is the key to breaking from the poisonous circle of psychological manipulation, and to expel the habit of apathy that settles human beings into tyranny. To win liberty back from the clutches of elites, we must first WANT to be free, and the path to freedom begins in the minds and the hearts of men.